Paul Hurst is the latest name to be linked with Barnsley’s vacant manager role. The Oakwell top brass have been in the market for a new boss since Jose Morais was sacked on the final day of the season following the Reds’ relegation to League One. Hurst has impressed the powers that be at the South Yorkshire outfit with the turnaround job he has done at Shrewsbury on a relatively small budget. It has been a remarkable change of fortunes for the club since Hurst took charge in October 2016. The 43-year-old Sheffield-born manager took the job with the side bottom of League One and on Sunday Hurst will lead his charges in the play-off final at Wembley against Paul Warne’s Rotherham United - where he plied his trade as a player for 15 years. However, his availability could depend on the play-off final result, with a Shrews promotion possibly putting paid to the Reds landing him as Morais’ successor. Before taking the Shrewsbury job Hurst masterminded Grimsby’s return to the Football League after a six-year stint away. The Reds have come up with a shortlist of names, which Hurst is a part of, and are taking their time to get the right man in after rushing to appoint Morais. Wycombe Wanderers boss Gareth Ainsworth is in the running after spearheading the Chairboys promotion to League One. 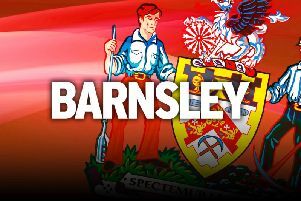 A wage increase, bigger budget and the possibility of securing back-to-back promotions with a move to Oakwell could lure Ainsworth away from the Buckinghamshire club. Wanderers chiefs rejected an official approach from the Reds in February when they were looking to appoint a replacement for Paul Heckingbottom. Local lad Mick McCarthy was the early frontrunner, but is keen for a Premier League job or a Championship club vying for promotion as his next step after leaving Ipswich Town. League One promotion specialist Simon Grayson is another manager touted to take over, successfully leading clubs to the Championship on six occasions.